The lease between the tenant and housing authority must state the procedures to be followed for ending a lease. The housing authority cannot end a lease except for serious or repeated violations of lease terms or for other “good cause.” The housing authority must send the tenant written notice of its intent to evict the tenant. If the basis for the eviction is nonpayment of rent, the notice must be provided 14 days before the housing authority files a court case for failure to pay rent. If the basis for lease termination is for any other reason, the notice must be sent out at least 30 days before the housing authority files a court case for breach of lease in district court. can only be evicted through legal process – by filing a court case to evict the tenant, and that if the tenant does not vacate by the date specified in the notice, the landlord will file an eviction action in district court. Ask your housing authority for a copy of the grievance procedure so that you can request a grievance hearing in a timely manner. When the housing authority is legally required to provide the tenant with a right to a grievance hearing, the housing authority may not file a court case in district court until the tenant’s right to request a grievance hearing has expired, or the grievance process has been completed. If the housing authority is not legally required to provide a grievance hearing (check your local laws), it must include this information in the eviction notice, advise the tenant of the court eviction procedure used by the housing authority, state that the court case satisfies due process, and state whether the eviction is for criminal activity or for drug-related activity. If you live in Baltimore City, the housing authority is not legally required to offer you an informal and formal grievance if your lease is being terminated based upon criminal or drug-related activity. However, you still have a right to meet with the housing authority to dispute the proposed eviction. If the housing authority is legally required to offer you the right to an informal and formal grievance hearing, you must submit your request for an informal grievance hearing in writing within the time limits set forth in the grievance procedure. If, after you meet with your housing manager, the housing authority still intends to evict you, you should request a formal grievance hearing in writing within the time limits set forth in the grievance procedure. have a written decision provided to you after the hearing based on facts and evidence presented at the hearings. If the housing authority still intends to proceed with eviction, it must file a civil complaint with the district court. You will be notified of a trial date and you may represent yourself at trial. You have the right to demand that the housing authority reveal the basis of its decision to evict you: the identity of all witnesses and all written evidence it will present at trial. You have the right to contact and be represented by an attorney. that the tenant has the right to present a defense to the eviction in court. The lease termination notice must be provided to the tenant at least 30 days before the landlord files a breach of lease action in district court. The eviction notice must be mailed by first class mail and a copy must be either placed under the tenant’s door, taped to the door, or handed to an adult answering the door. When the eviction notice is for failure to pay rent, the notice must state how much rent is owed and the date on which this calculation was made. The notice must also state that the tenant has ten days to meet with the landlord to discuss the eviction notice. This is an opportunity for the tenant to dispute the reasons stated for the eviction or to offer to cure the alleged breach of lease. If the tenant fails to request a ten-day meeting, the tenant still has the opportunity to challenge the eviction in a court trial. The tenant continues to pay the reduced, subsidized rent until he/she vacates or is legally evicted by a judge at a trial in court. 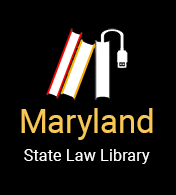 Section 8 lease terminations are generally governed by Maryland landlord and tenant law. The tenant is required to send his/her section 8 advisor a copy of any lease termination or eviction notice. The housing authority will continue to make payments to the landlord under the voucher until the tenant vacates, is legally evicted through after a trial, or moves to a new section 8 property under a newly issued voucher. The landlord cannot evict a tenant during the initial term of the lease without good cause. The landlord may evict a tenant or refuse to renew the lease at the end of the lease term simply by giving at least 60 days written notice before the lease term ends. The landlord does not have to prove the tenant has breached the lease to evict the tenant after the first term of the lease has ended. After sending you notice of an intent to terminate your lease, your landlord must go to court before you can be evicted. Your landlord or the housing authority cannot change your locks, cut off the water or electricity, or move your belongings without going to court. If your landlord or the housing authority does any of these things, you may file a criminal complaint against him and he/she will be prosecuted by the States Attorney for an illegal lockout. Your landlord or the housing authority must wait 30 days after sending you the notice before going to court (or 14 days if you live in public housing and you are being sued for nonpayment of rent). Then the landlord must prove that you broke your lease. There are no jury trials in District Court. If the amount of the claim exceeds $15,000, or the tenant's interest in the lease is more than $15,000, attorney's fee excluded, either party may request a jury trial. The case is then transferred to the circuit court. Landlords must request a jury trial in writing when filing court forms; tenants must make their requests in writing prior to the date of the District Court trial. Circuit court procedures may differ. If you receive a court summons or eviction letter, you should contact an attorney as soon as possible. If your landlord or the housing authority agrees to let you stay but wants you to sign a written agreement, you should contact an attorney before signing it. You may be eligible for free legal services from the Legal Aid Bureau, a law school clinic, or a "pro bono" project.